Winners of the night take a group photo. Photo by Badru Afunaduula. Accountants in the country have been urged not to forget their roles, which includes being key advisors to their employers. Speaking at Imperial Resort Beach Hotel at the just concluded seminar for accountants organised by the Institute of Certified Accountants of Uganda (ICPAU), Auditor General John Muwanga emphasised the need for accountants to play their advisory role in organisations. He noted that many organisations are facing challenges partly because accountants did not play their key role of advising management and the board on what is right for the institutions’ health. The same function, marking ICPAU’s 25 years of existence saw the institute reward the best performers since it was founded. Held at a gala dinner on Friday, September 8, the last day of the seminar saw Gerald Kasanya, the second chief executive of ICPAU receiving the Gold Services award. Others recognised were Betty Kiganda, the first secretary to the CEO (the Late P.K. Bahemuka). She was recognised as a Gold Award winner. 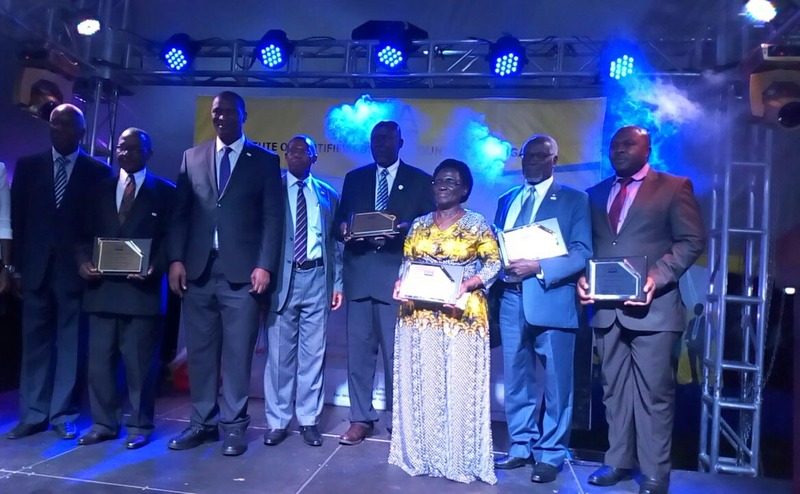 Catherine Asiimwe, the Auditor General of UNRA, was received the Young Accountant of the year award. The CPA of the year of the year was won by Selestino Babungi, who is managing director at Umeme. N.A Thakkar was singled out for his contribution to the accountancy profession in Uganda. John Muhaise was recognised with the accountancy services award for his contributions to the profession. The ICPAU Annual seminar which brings together over 1,200 accountants is a flagship event for Certified Public Accountants and senior business professionals in Uganda. The three-day seminar focuses on current issues surrounding the accountancy profession. This year’s event commenced on September 6.